As someone who lives in tune with the seasons, I get excited whenever a new one approaches. Summer is by far my favorite season (all the fresh produce at the farmers market gets me pumped), but I have a soft spot for fall. That's probably because I was born in fall (November 18 to be exact - in case you want to get me a gift 🤣), but there are other reasons too. 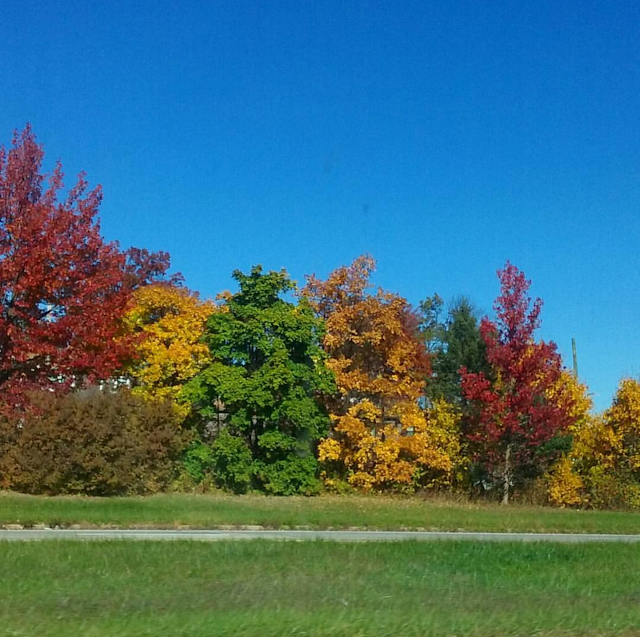 Fall brings to mind crisp air, changing leaves, fall produce, and warm chai tea. There's something about fall that just feels so cozy and invokes this slower paced way of living. Its also a time of harvest: Enjoying all of the autumn bounty before winter's sharp chill freezes over the land. I absolutely adore fall produce and will definitely be talking about it later on in the post (aside from pumpkins and apples, there are a lot of other fruit and vegetables in season right now too). So, if you want to get into the fall spirit, reduce your waste and live seasonally, you're in the right place. 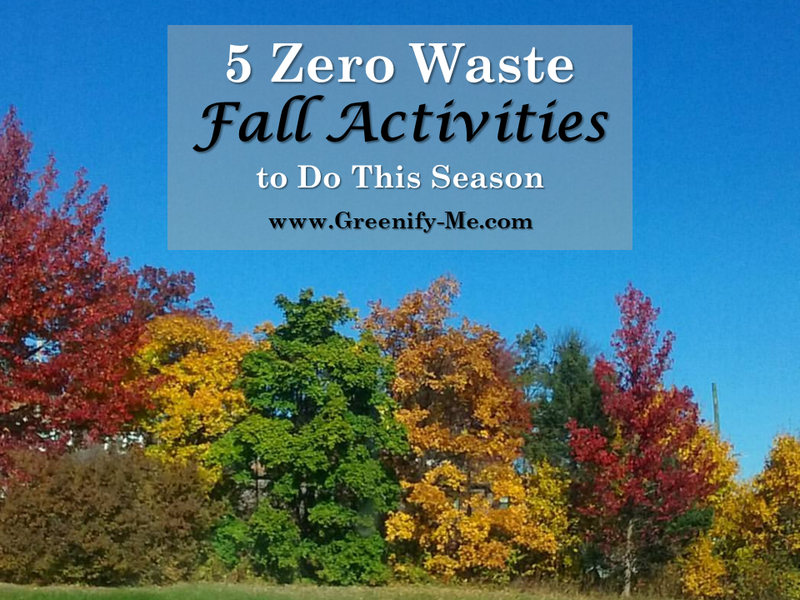 Here are 5 zero waste fall activities to do before the season ends! P.S. : Also, I'm thinking of turning this into a mini series (with each new season, I list zero waste activities you can do - since this is fall, I have winter, spring, and summer to do as well). Would you be interested in that? Let me know in the comment section (I'll probably just wind up doing it anyway though because I love the seasons 😛). First off, it's important to note when fall begins and ends. Lots of people believe that when school starts, fall starts, but that's not true at all. A good majority of September is actually still summer: Fall doesn't start until September 22nd or 23rd, depending on the year (Northern Hemisphere). For 2018, fall started September 22nd and ends on December 21st. Just something to keep in mind as the season progresses. My first fall produce haul - still the beginning of the season so there's a lot of summer produce here too. Fall is full of beautiful, nutritious foods. Whenever I go to the farmers market, I'm always excited to see what the changing season will bring. In the beginning of fall, a lot of summer produce is still present at the market, with some fall foods making their way in. As the season goes on though, the fall produce really stands out and peaks. It's refreshing to see new produce you haven't seen or eaten since last fall. I eat very seasonally, so if it's not in season, I'm not buying it. I highly recommend you check your local farmers market and see what's in season near you. Take your reusable produce bags and tote bags with you to avoid waste! Here are my zero waste farmers market essentials. These are just some of the seasonal fall foods you'll encounter at the farmers market. Of course, this list varies depending on your location, and what your farmers decide to grow. Something can be in season but not sold at your market simply because the farmer doesn't grow it, so keep that in mind. For example, while cranberries are in season during the fall, they never typically pop up at my market because no one there grows them. Do research into what's seasonal to your area. You might be surprised at what you find! One of my favorite fall outfits: Jeans, boots and a cute top. Ever since I was a little girl, my mom and I have been putting away our summer clothes and breaking out fall/winter clothes when the weather got cold. I never knew this even had a name until recently: A capsule wardrobe! Essentially, this means changing your clothes according to the season. So in the fall, I break out all my jeans, leggings, sweaters, and scarves. I say goodbye to my shorts, tank tops and dresses. I do keep some items all year in my closet though: A few favorite T-shirts, at least one skirt, a few fancy dresses for special occasions. Some things are good to have around no matter the season. Plus, if the weather ever flip flops, I'm prepared. To keep things simple, I change my wardrobe whenever fall and spring roll around, since those are the beginning warm and cool months. I also put away flip flops and open toed shoes in the fall after a certain point. My mom and I usually wait until October to change our wardrobes for the new season. Try creating your own seasonal capsule wardrobe: Look in your closet and see what you can store away each season. Put away all your summer clothes and leave your fall clothes. It will also help you see any clothes you had stuffed in the back of your closet you don't normally wear. If you happen to find clothes you don't typically wear while cleaning out your closet, consider giving them to a loved one. Or, donate it to a thrift store. If you really love an item, wait a month or two and see if you wear it - if you don't, resolve to give it away. To store all your summer clothes, use a bin with a cover and snap-on latches. My mom and I have been using the same blue bins for years (literally since I was a kid). Once we swap out our clothes, we put it away in storage and don't think of them again until spring rolls around. One of my best childhood memories is going apple picking and pumpkin picking every year with my family. I'm happy to say I still keep that tradition alive, but now I do it with my boyfriend and my friends. It's just as much fun now as it was then! In fact, I'd dare say it's one of the best zero waste fall activities on this list. There's something amazing about getting to pick produce, straight off the vine. I love being surrounded by apple trees, reaching my hand out, and plucking a ripe one off a branch. You get to harvest it yourself, and it's so satisfying because you're in control of what you want. Also, nothing tastes better than a fresh picked apple. I would know, considering I always manage to sneak an apple in before we pay up front...can you blame me? To keep things zero waste, I plan on bringing my own produce bags with me this year. 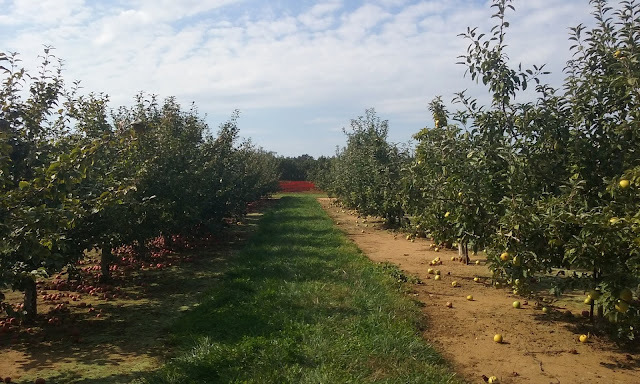 Before you go apple picking, they typically hand you plastic bags to collect them in. I'll pass on those this time. If you're unsure if the farm you want to go to will be okay with this, feel free to give them a call ahead of time! Just ask them if it's okay to bring your own bags. Chances are, it'll be no big deal. I go to a local farm in New Jersey - the same one I've been going to for years since I was a kid. I just hop into my boyfriend's car, pick up our friends, and off we go (carpooling for the win). They also have a pumpkin patch there, along with stands that sell fresh jams and honeys. Yum. I really encourage you to go apple or pumpkin picking this season. It's a great way to connect with fall bounty, as well as get outdoors before winter hits. Plus it's fun! I love making apple or pumpkin pie using the produce we pick, but I'm more than happy just biting into a raw, delicious apple as is. Since you'll be buying all that delicious, seasonal fall produce, why not make it into something worth eating? Autumn is the time to start eating heartier meals. I love making soup in the fall (mind you, I can eat soup year round, there's just something so fulfilling about having it in autumn though). Cooking using seasonal produce is one of those zero waste fall activities that's practically mandatory. You are seriously missing out if you're not incorporating seasonal foods into your diet this time of year. Plus, it's fun to cook these dishes with friends or family. Making it into a group effort is a great bonding experience! Leek and potato soup - One of my personal favorites. So hearty and a great way to use in-season leeks! Butternut squash soup - Who wouldn't love a soup this creamy and rich? Apple pie (from scratch) - Because you can't beat homemade...Need I say more? Kale salad with cranberries and apples - So simple and so delicious, just throw in some pecans (or halved almonds), your favorite dressing and you're good to go. Stuffed acorn squash - This dish is so hearty that it's guaranteed to fill you up. When the leaves start to change color and the air gets crisper, it's so delightful to just enjoy their beauty. I especially love doing this by going to my local coffee shop, grabbing a chai tea in my reusable travel mug, and walking under the trees. I'm not a coffee drinker, so a piping hot cup of chai tea mixed with almond milk is my go-to, come fall. When you go into your local coffee shop, just ask them to put your drink of choice into your reusable mug. Usually, they have no problem doing this (I've never been refused before, so). I've even done this at Starbucks and Dunkin Donuts in the past. You'll be avoiding a wasteful take out cup and getting a delicious drink in return. Whatever fall drink you enjoy, grab it in a to-go mug and take a scroll through the park. Admire the cool air, the autumn wind, the colorful leaves. Take time to slow down your thoughts, sip your drink and just be present. There is beauty in silence. What are your favorite zero waste fall activities? I'd love to hear about them. Also, look out for my next post in this mini series, all about zero waste winter activities!